Long Beach Teachers Are Shaping Tomorrow's Leaders. As a Sponsor of TALB your support will help advance our mission to create great schools for our children, taught by great teachers. Show your support for Long Beach educators and connect with the teachers, librarians, nurses and others who are members of TALB. Our school professionals make a profound impact on the future of Long Beach area kids. 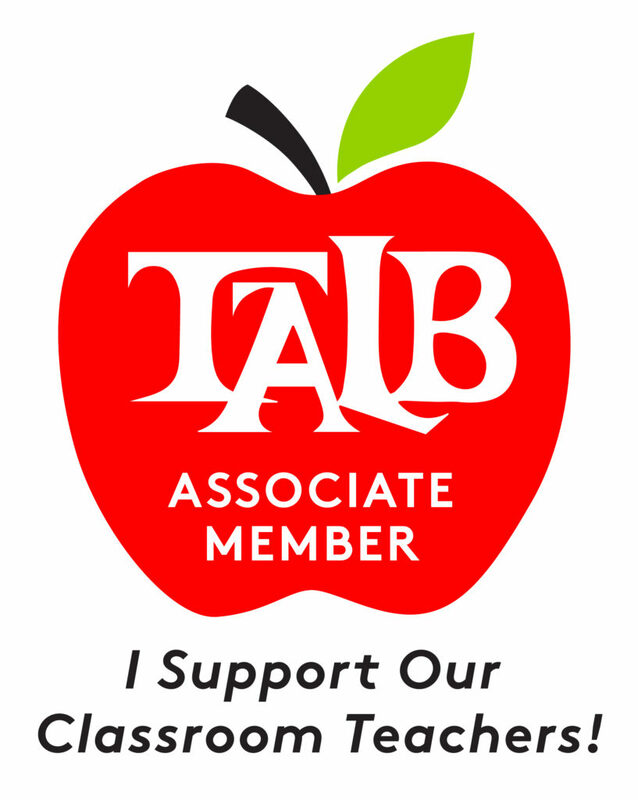 The Teachers Association of Long Beach — TALB — provides these professionals with support and development to enhance their work with our students. 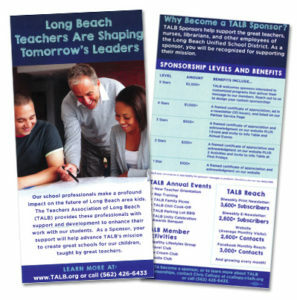 TALB Sponsors help support the great teachers, librarians, and other employees of the Long Beach Unified School District. As a sponsor, you will be recognized for supporting their mission. Sponsorship Packages are available at 5 levels of support. Each package includes recognition of your sponsorship and opportunities to connect with TALB members through TALB newsletters, social media, website, member activities and our annual events. To become a sponsor, or to learn more about TALB sponsorships, contact Chris Callopy at ccallopy@talb.org or call (562) 426-6433. At the 5 Stars level TALB welcomes sponsors interested in customized programs that deliver their message to our members. Reach out to us to design your custom sponsorships. TALB does not endorse or take liability for sponsors’ messages or products. Donations are non-tax deductible. Reach out to TALB members through our newsletters, website, social media, events and activities. Download our sponsorship brochure to share with friends and business associates.